The Electronic room thermostat is an economical and simple to use room thermostat. 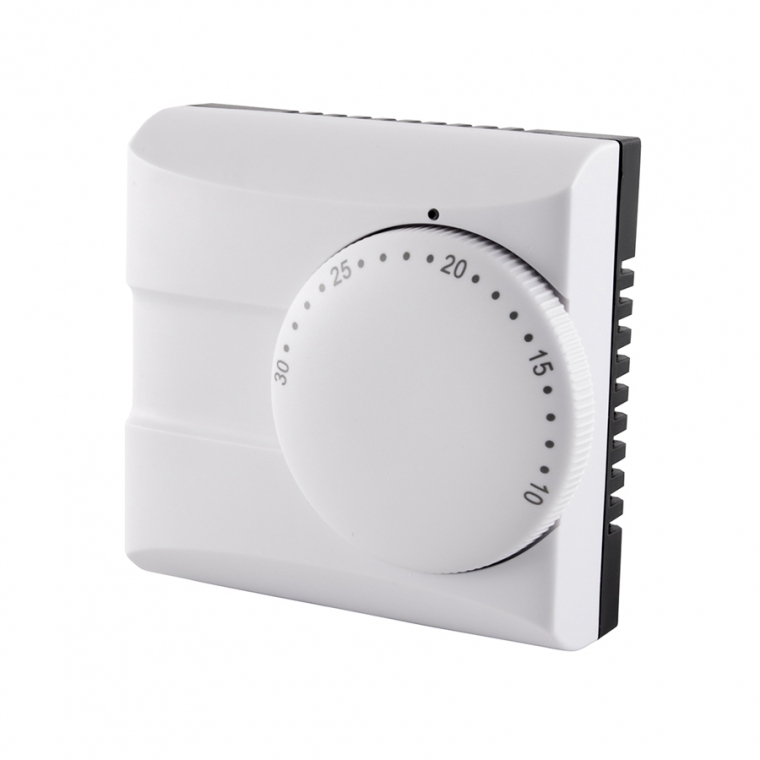 To control room temperature, simply turn the dial until the desired level is at the temperature mark. A neon indicator lights up when the system is turned on or will switch off when the system is being turned off. The temperature can be set between 5Â°C and 30Â°C.